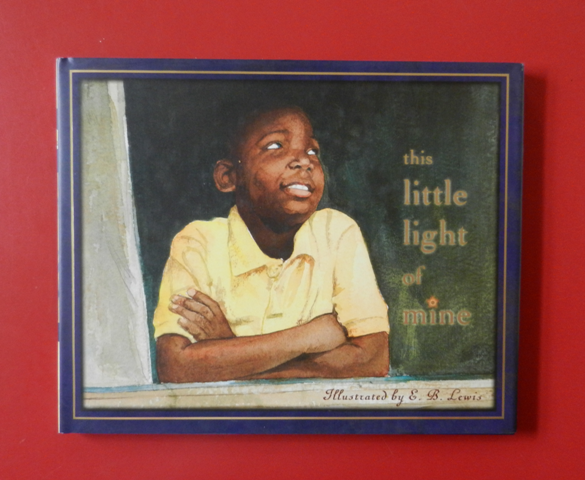 Summary: This beautifully illustrated version of the African-American spiritual has a young boy looking in the mirror and then interacting with neighbors in delightful and helpful ways including offering comfort to a boy who is upset and then inviting him to play basketball. Hanna’s Comments: There are several other books of this song, some with an audio component, some combined with other songs. I found a board book version that I like for young children by Mcnicholas. For children 4 and up, I especially like these illustrations. The score is in the back.